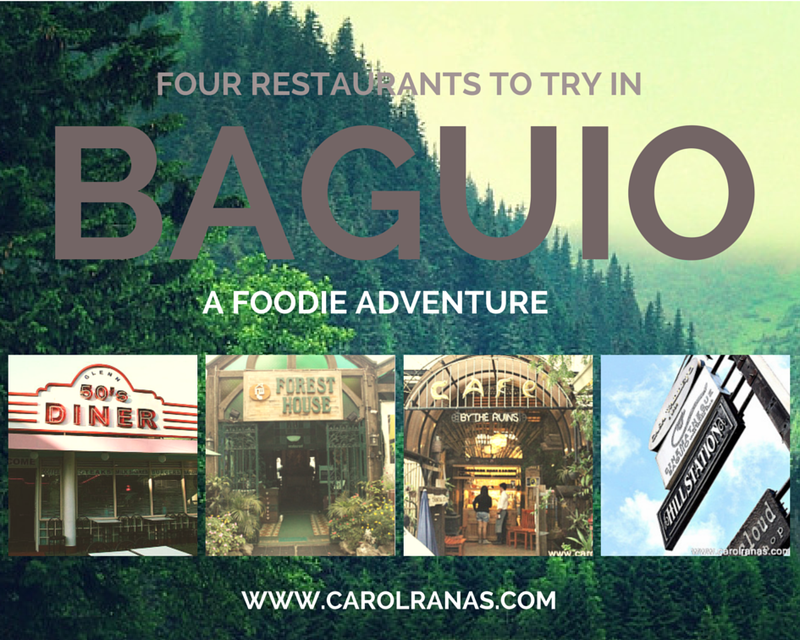 During our Baguio Anniversary trip, I made sure to include a food tour with Baguio's finest restaurants. 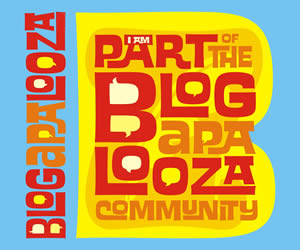 Here's the compilation of the food trips we did in Baguio. We left Manila around midnight and arrived past 6AM in Baguio. Our stomaches were rumbling and wanted to get a taste of the local Baguio cuisine. Hillstation was the nearest restaurant open that time when we arrived (they were open as early as 7AM). 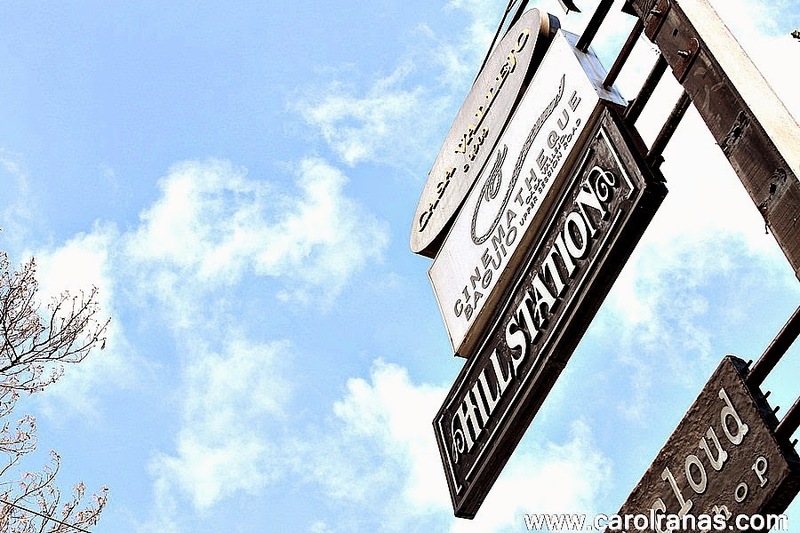 Hillstation Cafe is located inside (and also below) Casa Vallejo, one of the oldest hotels in Baguio, still standing after 50 years. 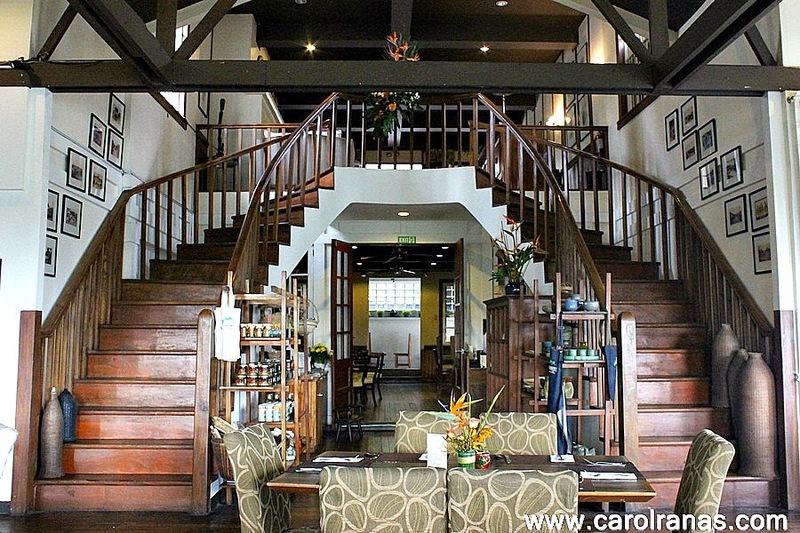 The interiors had an ancient touch, which are mostly pretty woodwork furnitures and capiz windows. 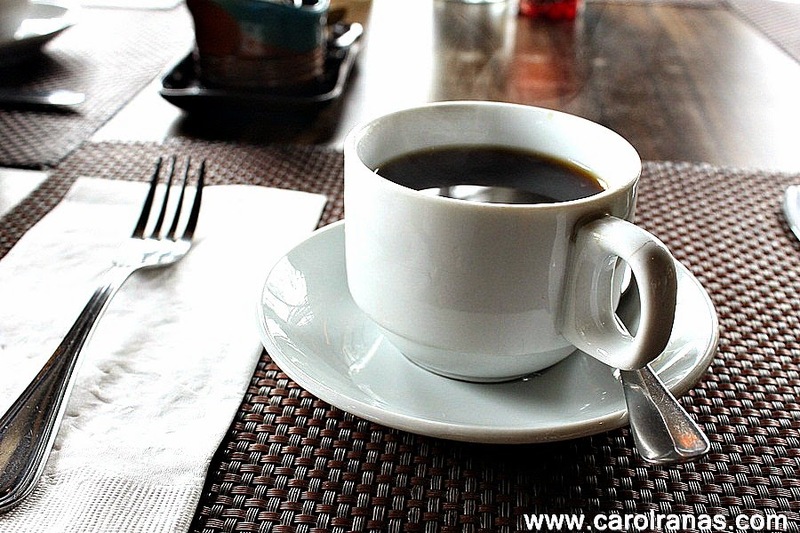 We immediately ordered coffee so we could try the local Benguet beans. 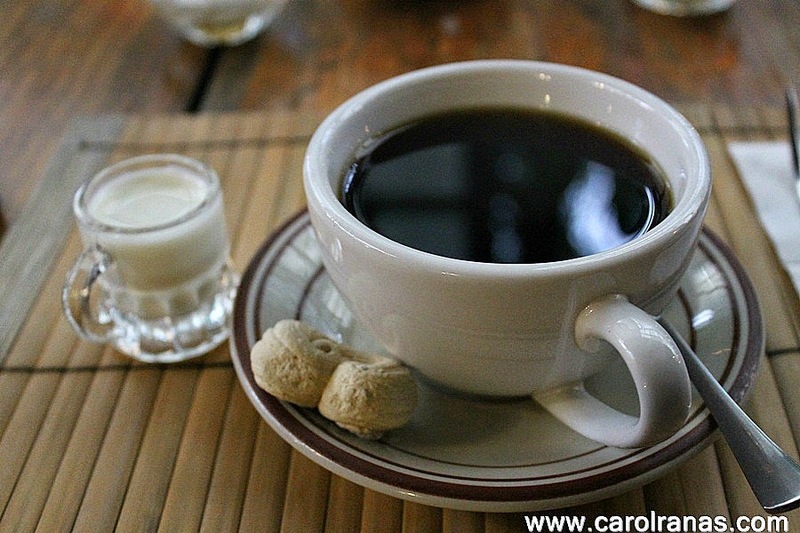 We tried the coffee without cream to get acquainted with the unique taste of Benguet beans. It was bitter, yes, but it was bearable compared to the normal Americano from espresso beans. We actually enjoyed the coffee with just sugar. To appease our grumbling stomach, I ordered Eggs Benedict while Soshi ordered their usual Filipino breakfast staple, Musang Tapsilog. 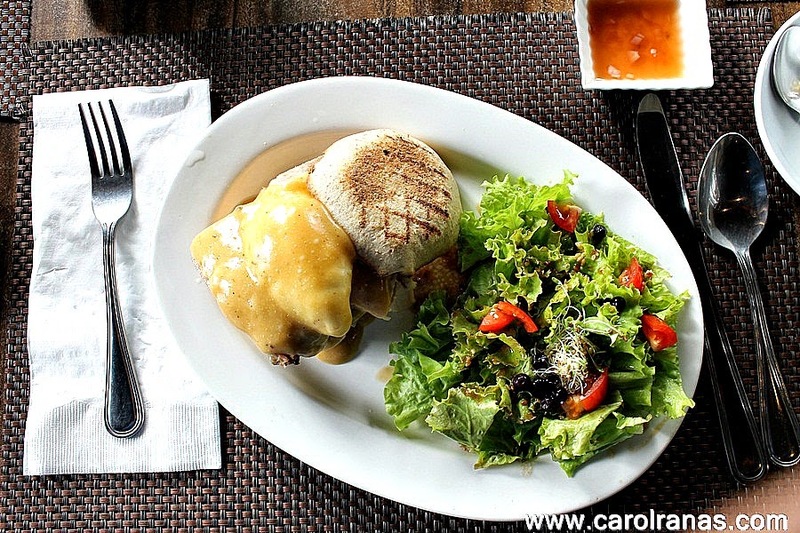 Hillstation's Egg Benedict consists of locally baked pandesal with smoked ham, egg topped with hollandaise sauce served with fresh salad as a side. Pandesal was perfect with the smoked ham and egg. And need I say that the salad was citrusy and refreshingly good! Soshi's Musang Tapsilog consist of pieces of marinated deer meat with sunny side egg, pickled cucumber and a cup of rice as sides. The deer meat tasted fine, it's just that some of the meat were a bit tough which made it harder for me to eat because of my braces. Deer Meat is known to have an after effect when eaten. It usually increases our body temperature which is makes it an aphrodisiac according to some. Unfortunately, we weren't able to get a glimpse of Mt. Cloud Bookstore for it was still closed and will open at around 10AM. We just decided to walk around Baguio while waiting for our check in time. Cafe by the Ruins was recommended by my friends. 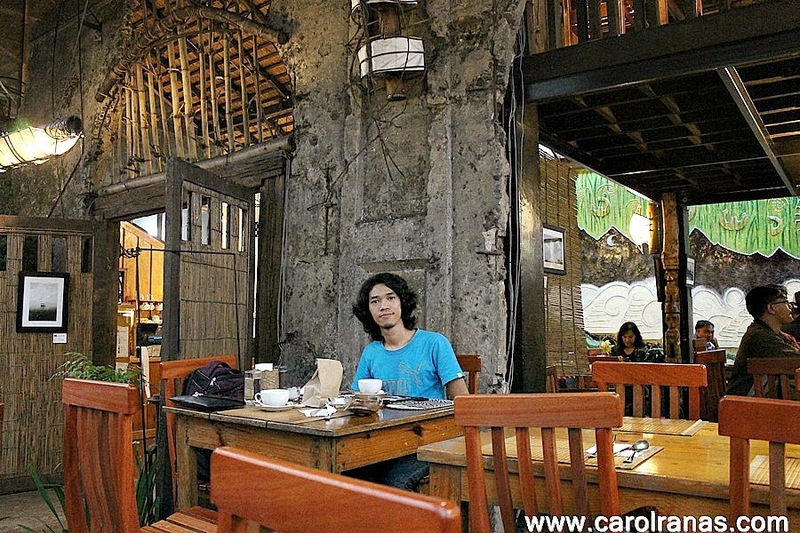 After we were soaked in the rain while strolling in Burnham Park, we decided to warm up at Cafe by the Ruins. As usual, we ordered coffee and a bit of pastries for snack. 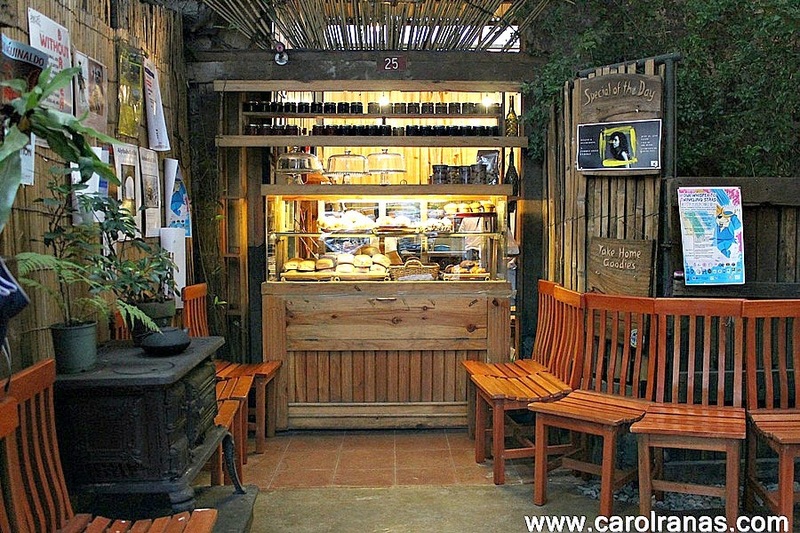 Cafe by Ruins has a run down feel but it definitely fits in the Baguio scene. 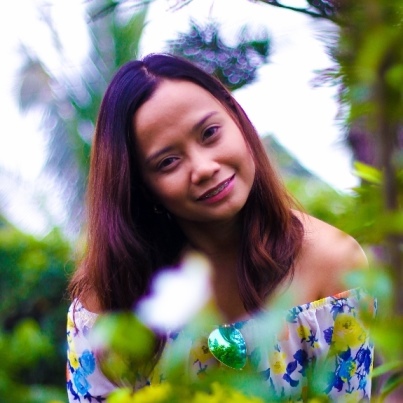 I observed that most establishments in Baguio during the Hispanic regime was maintained, there for giving Baguio this really nice forest-y ambiance along with the pine trees. Once you walk in, you'll be greeted by freshly baked goods by their take out counter. They have our breakfast staple, large pandesals and a whole variety of pastries. Soshi ordered Arabica coffee to warm himself up. He's not a big fan of fancy coffee concoctions, he just want his coffee black or just with milk. He was kind of expecting something unique with it,but it tasted just the normal coffee from Arabica beans. I ordered the Ruins coffee to warm my chilly body. Ruins coffee is somehow similar to a cappuccino, but of course it has a distinct taste because of the beans that was used. 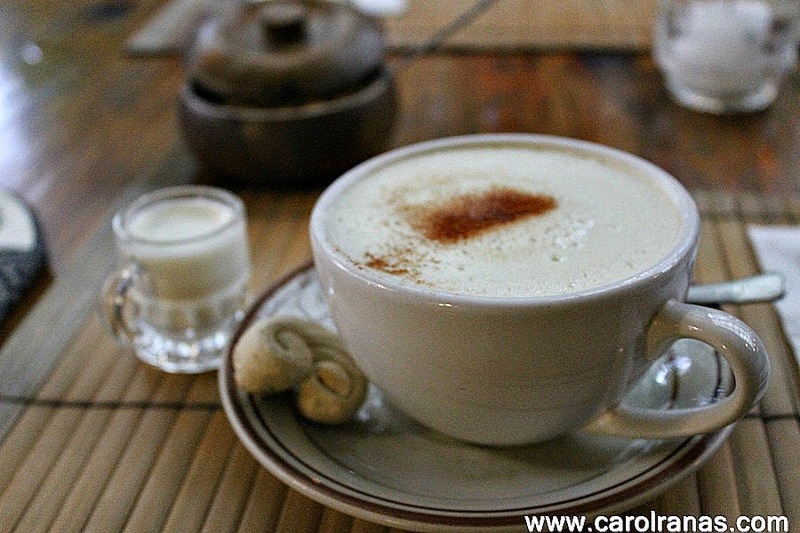 I couldn't determine if it was Benguet beans or a mixture of different beans, but I enjoyed sipping this while waiting for the heavy rain to pass. We also ordered some English Biscuits to go along with our hot drinks. 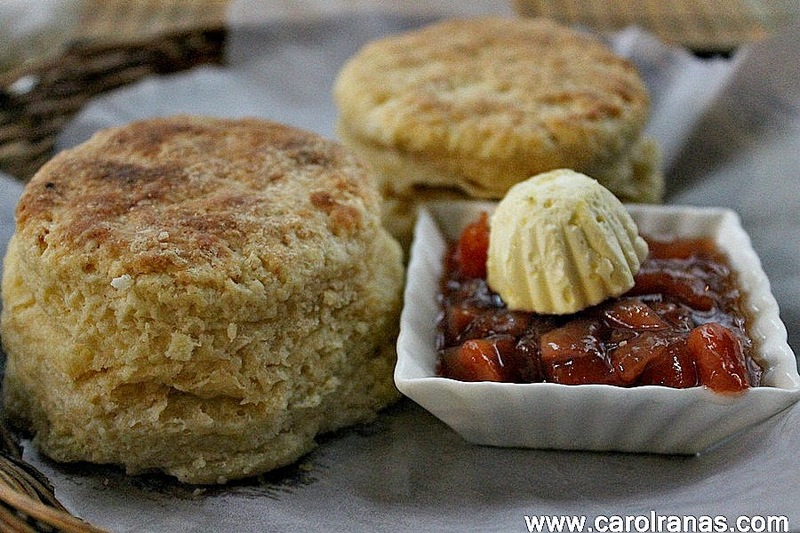 It was two large English biscuits with guava jelly and butter on the side. These are also known as scones which came off a bit crispy but definitely filling. You can eat it as it, or you can spread some of the guava jelly or butter in it. Either way, both tastes good. Overall, our coffee experience at Cafe by the Ruins was good. We'll sure to drop by next time to try their main dishes. 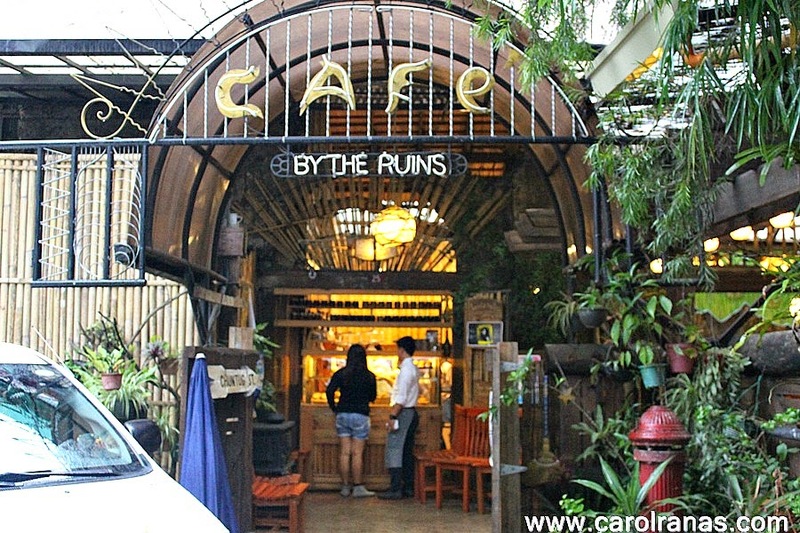 Cafe by the Ruins is located near Burnham Park, you may need to walk a few meters to find it. 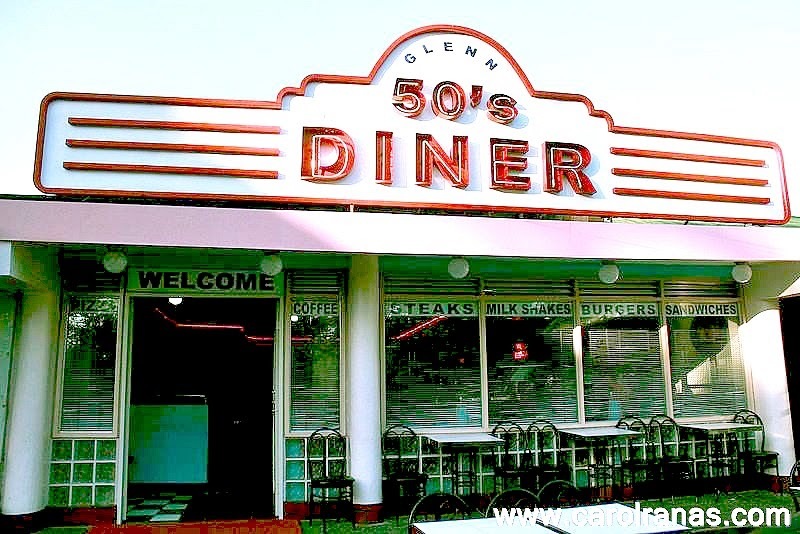 My friends also recommended to try the 50's Diner if we want to pig out at an affordable price. They exaggeratedly mentioned "PIG OUT" because their servings are quite packed for the price you'll be paying. On our second day at Baguio, We decided to have lunch at the 50's Diner before heading to Bencab Museum. The diner was full (We were informed beforehand that it is ALWAYS full) so we had to wait for a few minutes, which was okay as we were browsing the menu while waiting. While waiting and at the same time browsing through the menu, we were oggling on the items that most customers order. Boy, we were salivating as dishes come out of their kitchen, full with all the meat you wish to eat. Soshi ordered Mix Grill while I ordered Pasta and Garlic Shrimp. I decided to lay low on pigging out because I didn't want to upset my stomach more. 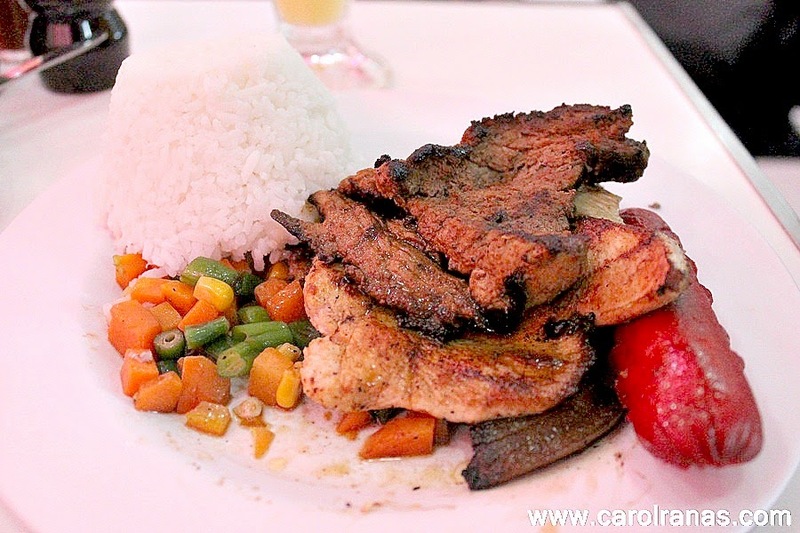 50's Diner Mix Grill consists of Beef, Porkchop, Chicken and Hotdog, all grilled with a bit of sauteed vegetables as side. Soshi was grinning from ear to ear because all meat portions were generous. I stopped him for ordering extra rice with it because we know that we will be exploring another food place after 2 hours, I don't want to spoil it just because he was super full. My pasta and garlic shrimp order paled in comparison to Soshi's order in terms of "pigging out" scale considering they were almost the same price. But I was satisfied with it, it was good. It resembled to a Filipino style Carbonara, sweet and creamy. I estimated the pasta to be over 250 grams and came with 4 generous shrimps. It also came with half but very thick toasted bread. Overall, No one should leave Baguio without dropping by and eating at 50's Diner. The food was fast, tastes good and affordable (in terms of serving to price ratio). 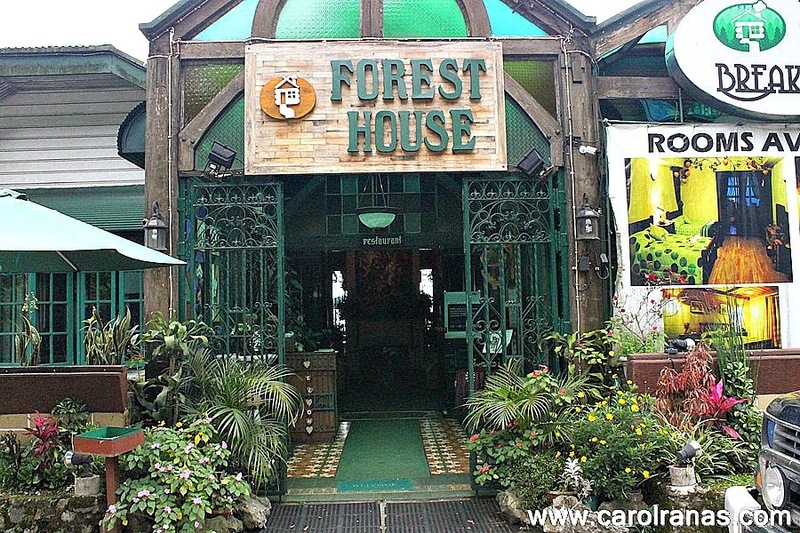 Forest House was also recommended by my friends who had been to Baguio several times. They were raving about it that we certainly wouldn't miss it.  And I can tell you, they are most certainly correct. 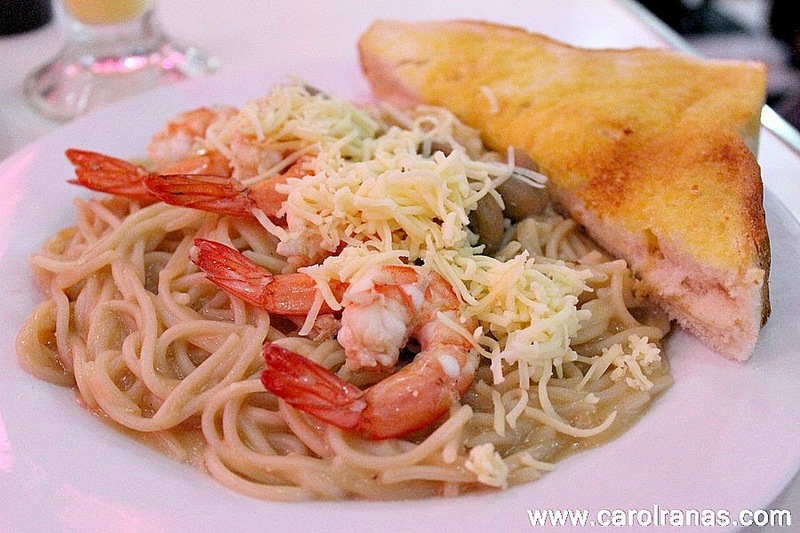 Forrest House serves the best home cooked meals in Baguio. Forest House is located near Kennon Road, further away into the woods. 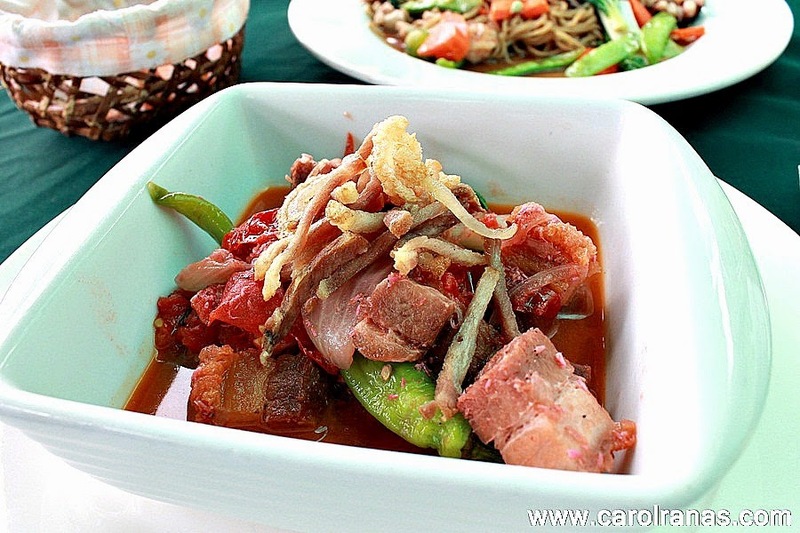 But the travel was worth it for you'll be served with good fresh cooked meals. We ordered what our friends suggested, their famous Pork Binagoongan along with a cup of rice. We were glad we followed their suggestion and ordered it. It was tasty and I love a nicely cooked binagoongan because my mom makes it in our house often. Satisfied with our first ordered, we ordered Pancit Canton to try a different dish. 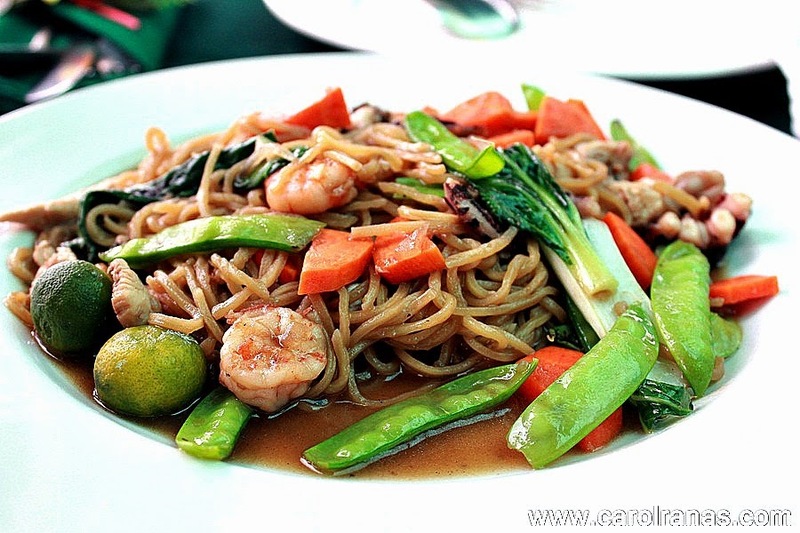 And the dish did not disappoint, It has the perfect savory taste, just like how my moom usually cooks pancit canton. And you can clearly taste the crisp and fresh taste of the vegetables. I love munching on those veggies. Since we were full up to the brim (for we are eating almost every 2 hours), we decided to have tea to regulate our bursting stomache before we head to our next destination.